61 degrees. Brrrrrr. That is cold water. 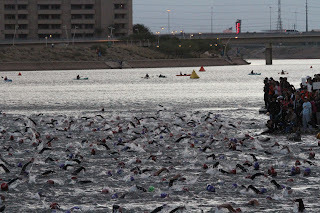 My plan was to enter the water after the pros went off and go to the front of the line. 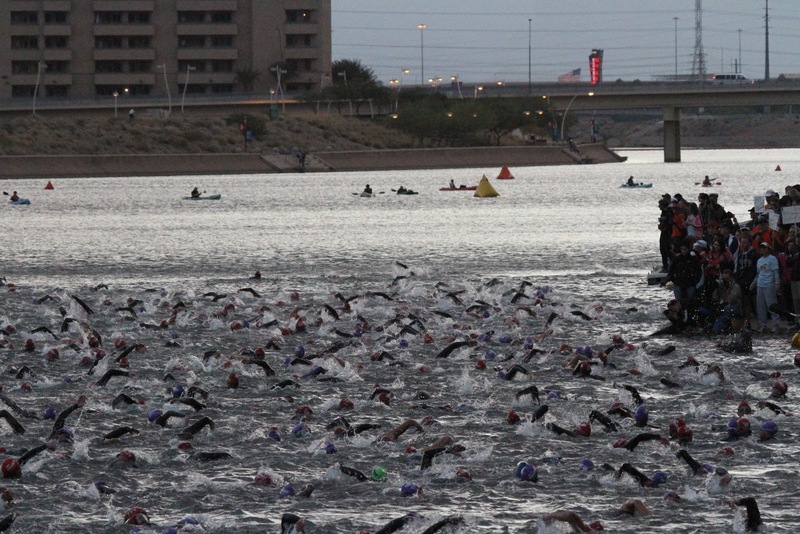 This may be surprising but I am scared to death of an aggressive swim start. I don't like being hit, pushed, swam over, kicked just like everyone else. And, there have been times that I have panicked in that kind of situation. I figured it wouldn't be too aggressive of a start since we were heading out for a long day and I could do a bit of a "sprint" to find clear water right away. I really wanted to say to the boys around me at the start.....we're all friends right? No need to beat each other up, right? But I didn't. Gettin' ready. You can see me right? I'm the one in the purple cap. The energy of the Ironman start is like none other. 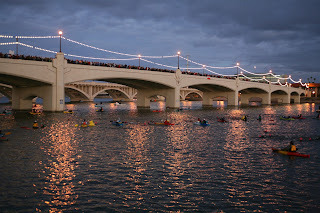 The bridge and the "lake" side were filled with spectators. Every one was cheering and yelling and the music was playing and Mike Reilly was asking everyone in the water if they were going to be an Ironman today. It was intense to say the least. I held onto a kayak for a bit but I was feeling completely comfortable in the water and really buoyant - I barely had to move my legs and arms to stay afloat. The water was cold but that neoprene cap was the best $20 I've ever spent. I wasn't that cold! All of a sudden, without any warning, the gun went off. And the day was underway. I smiled and started swimming. The water clarity was horrible so I pretty much swam head out for a minute or 2 while I settled into some clear water and my pace. My breathing was good but I was taking in a bit more water than I had wanted to which always grosses me out, especially in that water. There were a few folks around me but everyone was doing their own thing and the traffic was manageable. I smiled, this was just the start I wanted. About half-way through the first part of the swim, the lane narrowed and then the traffic increased. It was all still good though, I was singing songs in my head and trying to find bubbles and concentrating on my breathing and counting yellow buoys. Finally, I spotted the red turnaround buoy!!! I was in a group of about 4-5 and 3 of these were purple (women) caps. My turns were good but after we negotiated the second turn to the long stretch back, we ran into some pretty big chop. 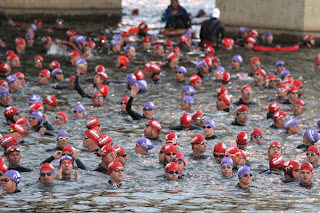 I was swimming stroke for stroke with a purple cap next to me when I took a huge amount of water in, ugh. Don't barf, don't panic, settle down, cough it out and move along. And with that I decided to go to the outside a bit and out of the traffic. 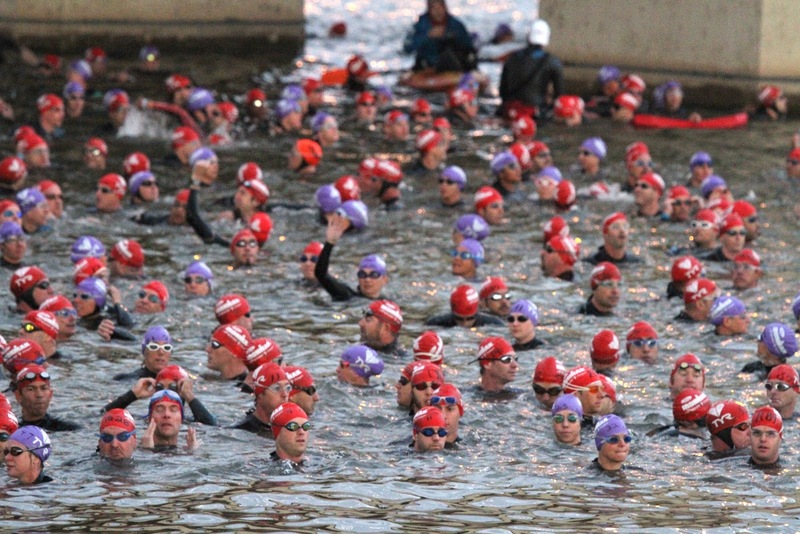 The Mill Street bridge was getting closer and then I spotted the red turn buoy and realized the swim was almost over. I was kind of bummed because I felt great in the water and I wasn't cold which was somewhat of a surprise. 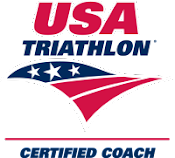 But, it was time to think about the wetsuit strippers, transition, and getting on the bike. I stumbled up the metal stairs and a volunteer steadied me. 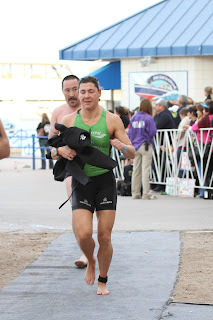 I found a nice looking lady to help me with my wetsuit and I was running to transition. I saw Troy, Ron, Eric, and Chris on my way to transition and I attempted a smile. I glanced at my watch and saw a 57 something. Cool! Happy with that!! Didn't realize I was running with my eyes closed! 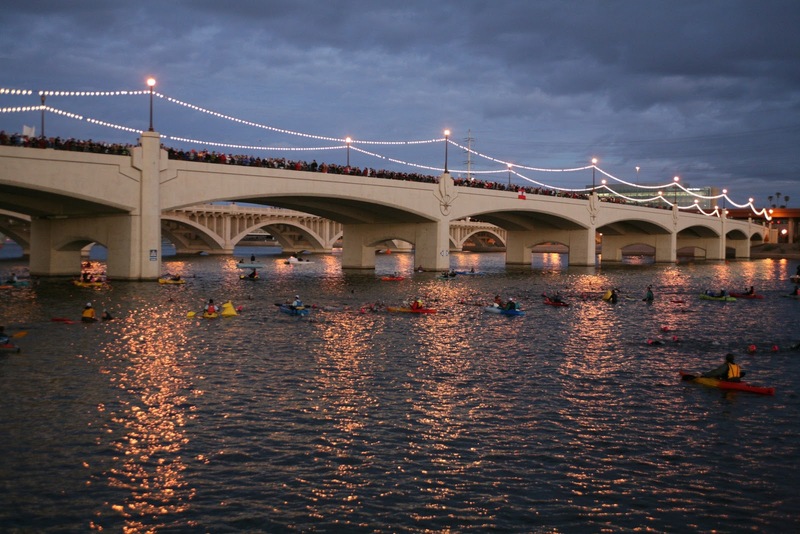 Ironman volunteers are simply amazing. These people are wonderful - they take care of you and get you on your way. My volunteers greeted me at the change tent, helped me put on a jersey, arm warmers, and compression socks (for warmth). They put on my helmet and sunglasses and shoes. Then, they stood me up and sent me out for my bike. The volunteers were yelling my number and one of them grabbed my bike and handed it to me. I love these volunteers. The roar of the crowd was amazing and then I saw my support crew (Michael who took the video, Charlotte, Tyler, Anne and a bunch of random Europeans) at the bike mount line. They were literally inches away from my ear as I was attempting to get on my bike. It. Was. Awesome. Check out this video, it is pretty funny. You can see me in the background grabbing my bike and then as I run around and try to get on my bike without cracking up. And yes, the big loud booming voice is my friend Tyler...who can't move fast when that voice is yelling at you??? Well written, Michelle. I'm looking forward to reading the rest of the story. Way to rock the swim Michelle!